NASA approved the Asteroid Redirect Mission (ARM) to proceed to the next phase of design and development for the mission’s robotic segment. Managed out of Jet Propulsion Laboratory, to proceed to the next phase of design and development for the mission’s robotic segment. This milestone in the ARM, known as Key Decision Point B, or KDP-B, was conducted in July and formally approved by NASA management on August 15 after a key program review. ARM, when complete, will eventually integrate robotic and crewed spacecraft operations in the proving ground of deep space to demonstrate key capabilities needed for NASA’s journey to Mars. 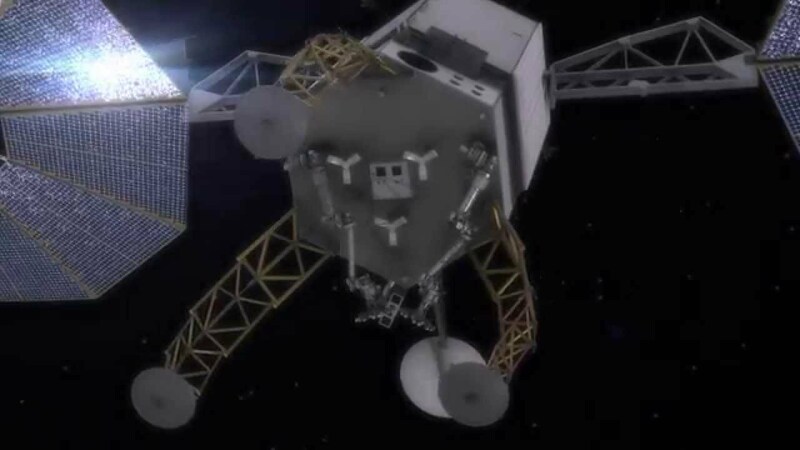 Earlier this year, NASA updated the target launch date for the robotic mission to December 2021 in order to incorporate acquisition of industry robotic spacecraft development into the project schedule. To reflect this new target date, the project’s cost cap was increased at KDP-B from $1.25 billion to $1.4 billion. The crewed segment, targeted for launch in 2026, remains in an early mission concept or pre-formulation phase. During Phase B of the robotic mission, the program will develop a baseline mission design to meet requirements consistent with NASA’s direction on risk, cost and schedule, and will conduct an independent review of the baseline project design. Completing KDP-B is a catalyst for increased external involvement in the robotic mission development, says Michele Gates, program director for ARM at NASA Headquarters in Washington. To proceed with the robotic ARM project, JPL will issue a request for proposals for the spacecraft to a set of aerospace companies that previously worked with the ARM robotic design team as they studied spacecraft concepts to meet mission requirements. KDP-B serves as authority for JPL to proceed with the next procurement phase. The robotic phase will demonstrate the world’s most advanced and most efficient solar electric propulsion system as it travels to a near-Earth asteroid (NEA). Although the target asteroid is not expected to be officially selected until 2020, NASA is using the asteroid 2008 EV5 as reference while the search continues for potential alternates. A target asteroid such as 2008 EV5 is particularly appealing because it is believed to be rich in volatiles, water and organic compounds. The ability to extract core samples from the captured boulder will allow scientists to evaluate how its composition varies with depth and could unlock clues to the origins of the solar system. After collecting a multi-ton boulder from the asteroid, the robotic spacecraft will slowly redirect the boulder to an orbit around the moon, using the moon’s gravity for an assist. On the moon, NASA plans to conduct a series of proving ground missions in the 2020s. There, astronauts will be able to select, extract, collect and return samples from the multi-ton asteroid mass, and conduct other human-robotic and spacecraft operations in the proving ground that will validate concepts for NASA’s journey to Mars.